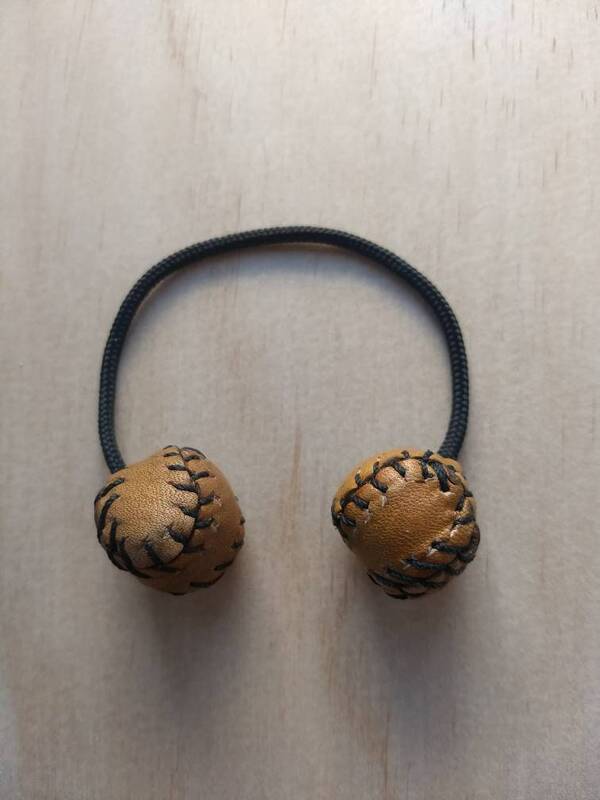 Mini leather baseball begleri beads. These are custom made to order with your choice of colors for the leather and paracord. Hand stitched with heavy duty waxed thread. 3/4 inch 52100 chromium steel cores (.99 oz. ), Veg tan cowhide cover. Total weight is approximately 2.25 oz. Please specify how long you would like the paracord to be in the comments.